Singing Bull Foods in Hohenwald, Tennessee, makes jams and jellies from recipes passed down for four decades. These products will put a huge smile on your face and make you forget your name. Singing Bull Foods make jams and jellies from local, hand-picked fruit, mixed with sugar and Sure-Jell®. We only use pure sugar and not corn syrup. 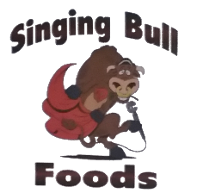 At Singing Bull Foods, our jams and jellies come in half-pint glass jelly jars. Our apple sauce is available in both pint and half-pint jars. Contact us in Hohenwald, Tennessee, and glaze bland food with apple butter and other fruit preserves.